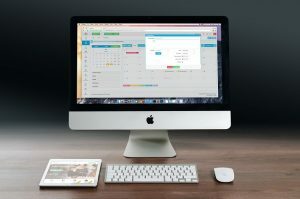 Many small business owners like yourself are turning to web apps to run their operations more smoothly and efficiently. A well-designed web app can help sharpen up the processes within your company and save valuable employee time. Mobile apps are also huge with consumers as more people than ever use their mobile devices to complete everyday tasks. Whether it be shopping, booking train tickets or reserving a table for dinner, nowadays, the average consumer turns to their mobile phone or tablet for most things. Stay tuned as we explain the what, why and how of web apps. What is a web app and why do companies build them? In general terms, a web app is an application that uses a web browser as the client. In this context, the client label relates to the program used to run the app which is a web browser. Web apps are usually built and developed by web app programmers to fit a company’s individual needs. Typically, the initial development of a web app is triggered by a business deciding they would like one to use internally. Or for their customers, to satisfy a demand they have noticed. In terms of mobile web apps, these are apps that a business’ customers can download onto their mobile devices. The app performs certain functions related to their product or service, such as purchasing items or making a booking. Why are web apps growing in popularity with small businesses? An increasing number of small businesses are employing specialist companies to develop a tailored web app for them and with good reason. One key area that many small businesses find of use is the actual operational side of the business. This is crucial for many small businesses who get an immense amount of value when they have a web app developed to streamline their processes. Upgrading from a current outdated program or system to a fully functional web app can have great time-saving benefits. As well as easier processes for employees. Most web apps can also be designed to contain very flexible reporting options. This is very useful for extracting data and insights, reviewing performance or identifying potential issues. If are looking for web app development in Leicester, we have vast experience of working with local companies to develop these. Web apps for mobile devices are superb as they can meet real-time demands from your customers which will help retain these customers and also attract new ones. This is naturally of great benefit to any company and their overall success. In addition, many small businesses find that having a mobile web app that can be easily downloaded to mobile is a great marketing tool. What better way to get your brand out there and in front of millions than a web app available to all? Sales lead generation is another great bonus of a quality mobile web app. It can lead to bringing in revenue or sales that you otherwise would not have picked up. What sort of small business would benefit from developing a web app? In truth, a small business in any area could benefit if they have identified a real issue in the business or for their customers. An import/export company can improve stock tracking with a database management app to keep track of the entire supply chain. Retail businesses could benefit from upgrading their payroll system by using a modern web app to make the process easier. If you work in the business services sector, such as a solicitor. A CRM (customer relationship manager) web app could help you to better manage communication with your clients. In the manufacturing sector, you could hugely benefit from automated more processes. You can automate even the smallest task to improve productivity. It’s clear that you could benefit from having a web app developed that meets the unique needs of your specific service. The value a web app brings is almost immediate. It will enable you to business grow even further than it has already. Easy to use and reliable, they have a great number of uses as many small UK companies have found out. We are web developers in Leicester, specialising in web app development. If you want to find out more, contact Tech Chaps here.